Welcome to Long Ridge Log Cabin! 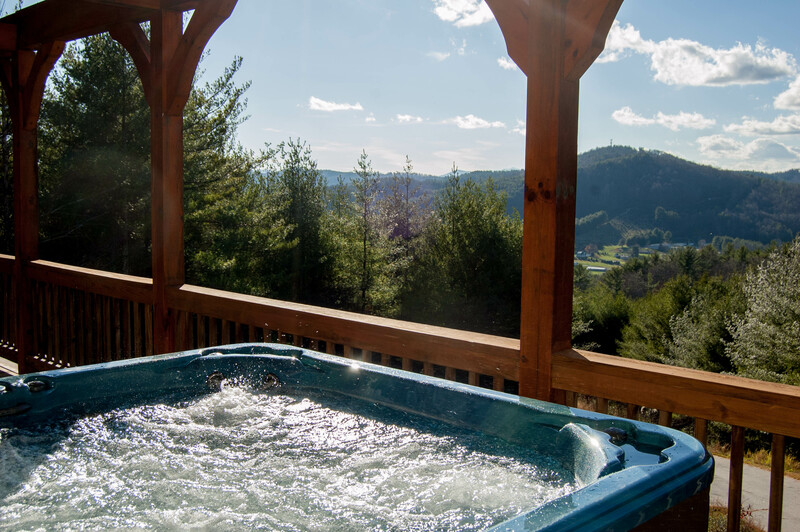 Enjoy the long range mountain views from the hot tub. 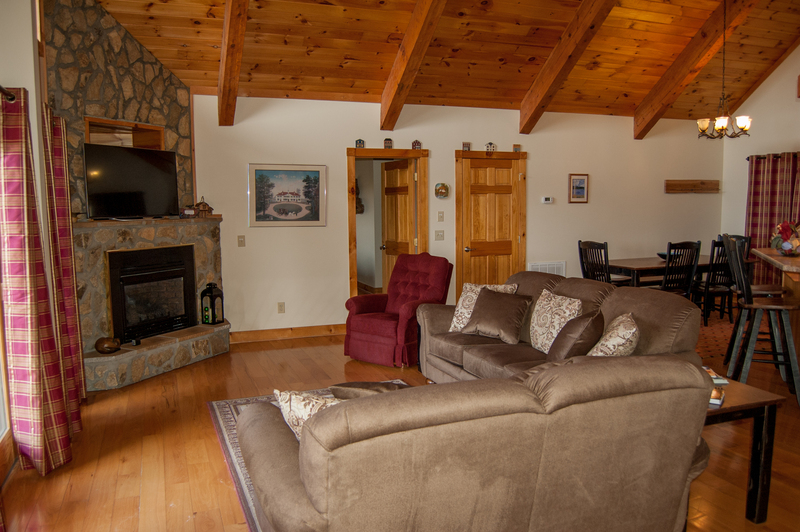 Great room with floor to ceiling, gas burning fireplace. Lots of seating with the comfy new furnishings. Access to the covered porch from the great room for dining and relaxing. 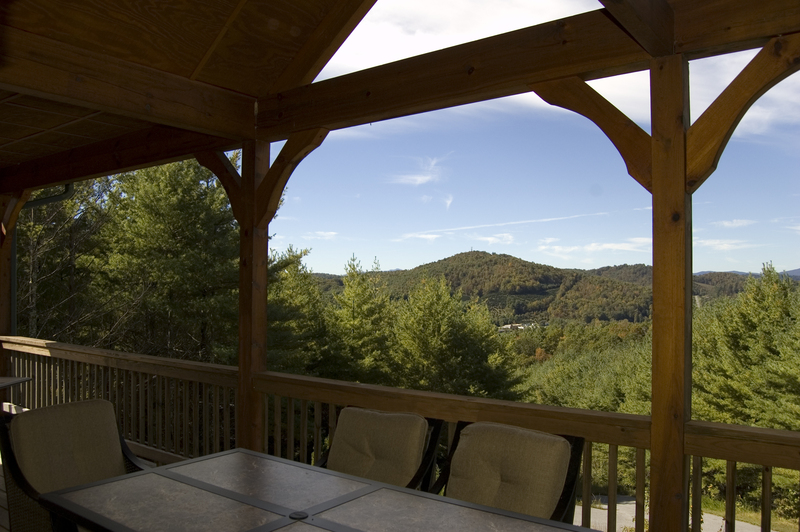 Wake up to the mountain views or head outside with your cup of coffee on the covered porch with lots of comfy outdoor furniture and hot tub. Hot tub off master and great room. 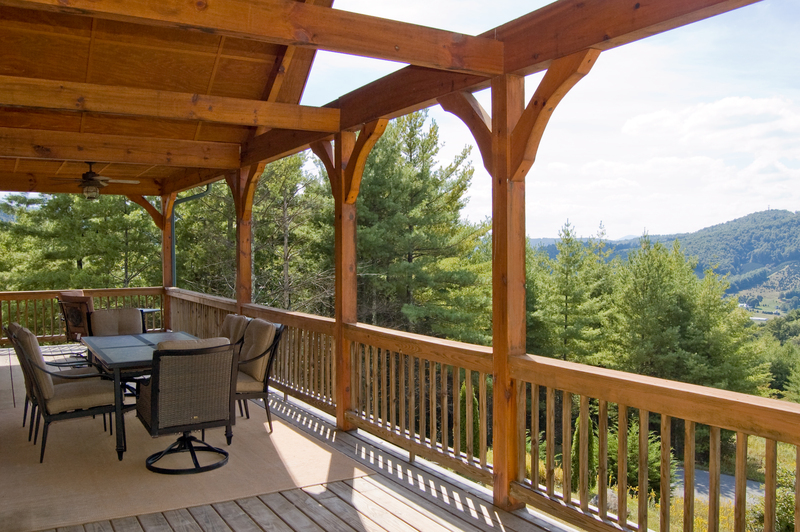 Covered Porch with Comfy Seating to Enjoy the Long Range Views and Outdoor Dining Area for 6. This bedroom also offers walk out access to the covered porch. Shared bathroom with tub / shower combo. Open media room with additional sleeping space, full size bed on the bottom and twin on top. Both Mountain and Pastoral Views. Long range layered views from covered porch. Perched Mountain Top to Enjoy All the Mountain Views. 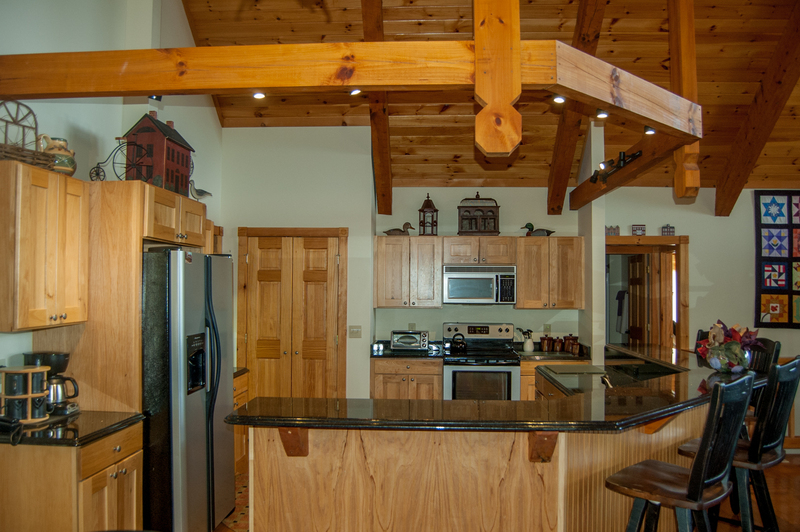 Enjoy your mountain vacation in this custom log home perched on a mountain top and convenient to both Boone and West Jefferson. 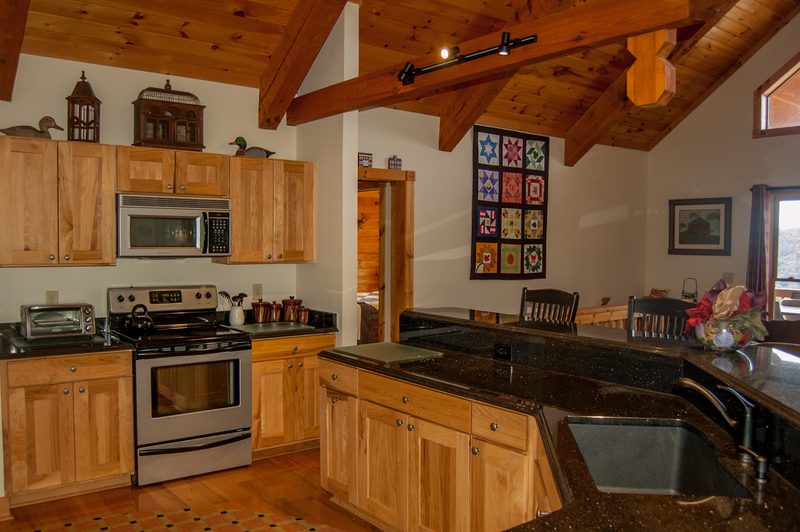 Offering scenic mountain views this 3 bedroom 2 bath cabin is your perfect home away from home for your next mountain adventure. 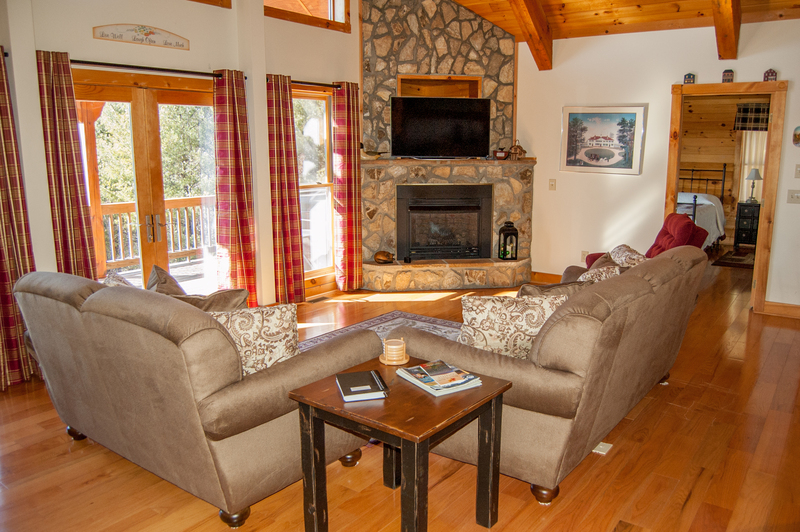 The main level features an open floor plan with vaulted ceilings, stone gas burning fireplace, flat screen TV with HD Satellite and lots of windows to enjoy the mountain surroundings. Walk out access from the great room to the expansive covered porch features lots of comfy seating and outdoor dining area for 6. 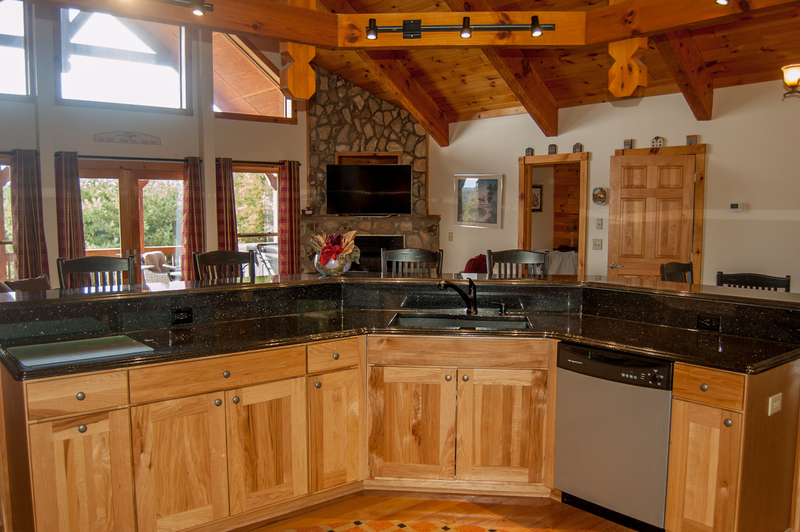 The fully-equipped kitchen offers the perfect place for your family and friends to gather to cook, eat and visit, all while taking in the spectacular views from every angle. 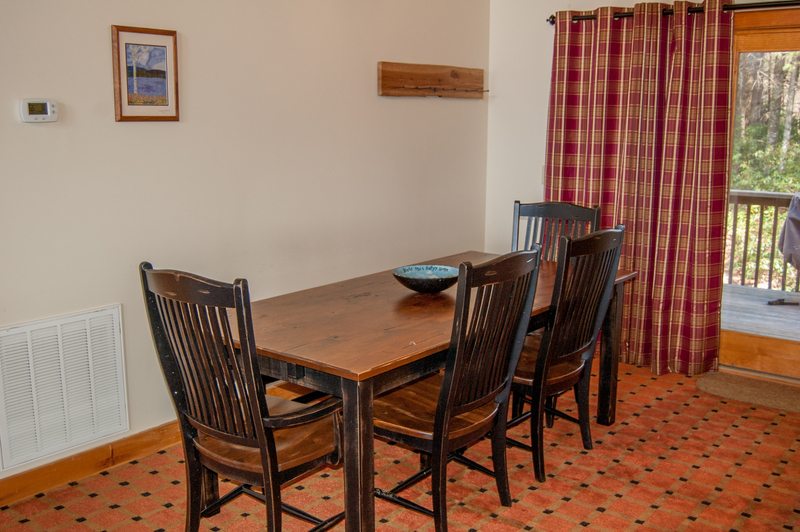 The dining area offers seating for 4 at the dining table and additional 4 at the bar. 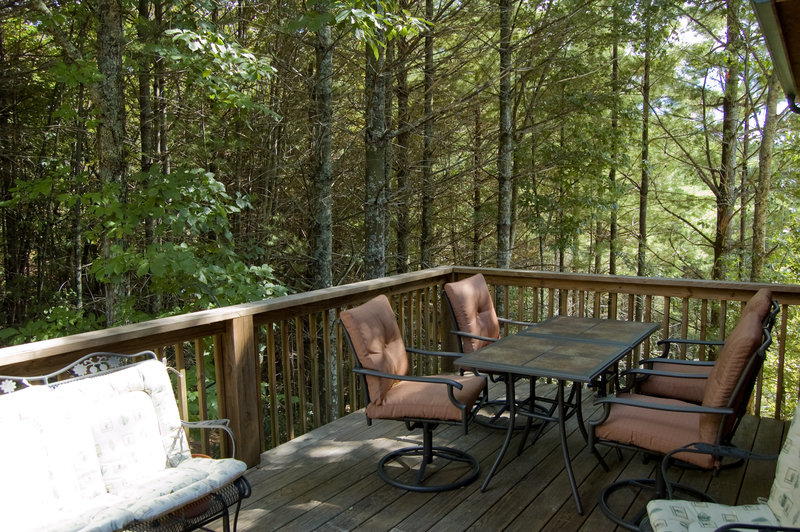 Walk out access to back deck with gas grill and overflow outdoor seating. 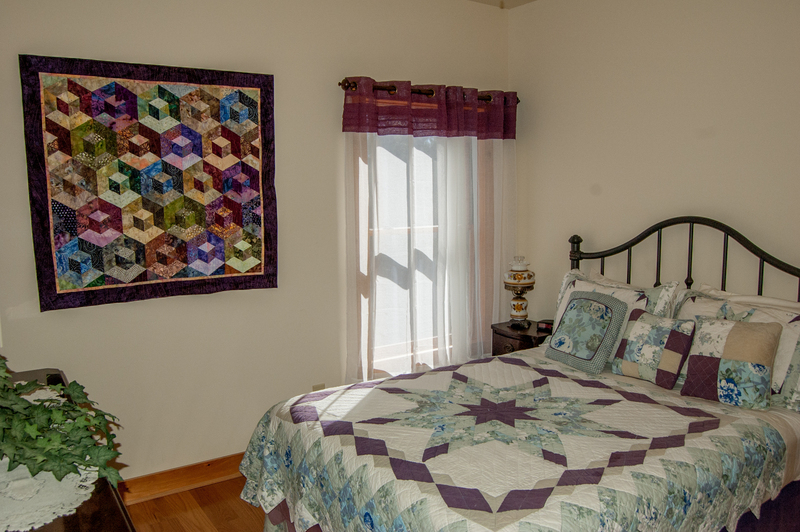 On this main floor you will also find the master suite featuring king size bed, private access to the porch and en suite bathroom with whirlpool tub and separate walk in tile shower. 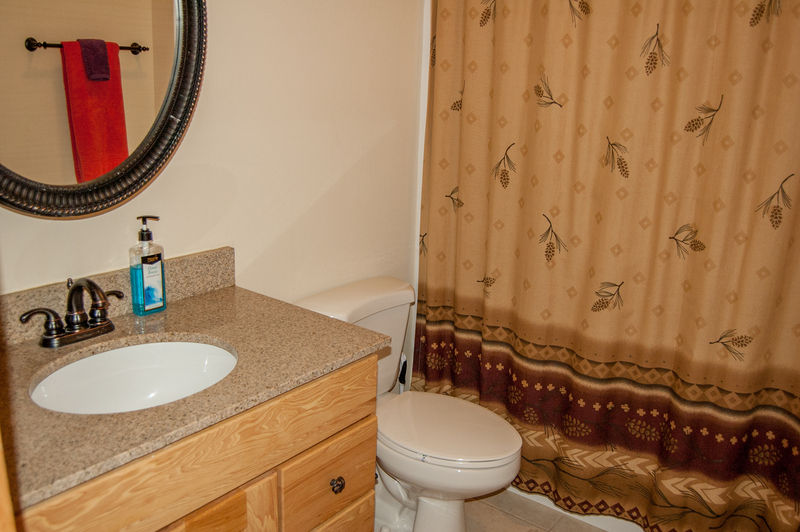 Two additional bedrooms both with queen beds and shared full bath complete the main level. Downstairs you'll find a spacious media room, game room with sitting area, flat screen TV, pool table, ping pong table and overflow sleeping space featuring log cabin style bunk bed with full size mattress on the bottom and twin on the top. .
Attractions near this home include the Blue Ridge Parkway, Grandfather Mountain, Mount Jefferson State Park, New River State Park, Blowing Rock, and?of course, the Tweetsie Railroad! Start your day at the Farmers Market and sample the local goods and harvests from area farms and artisans, and then explore the many Art Galleries and cafes in Downtown West Jefferson. Continue on to Blowing Rock and shop at the many unique shops in this quaint mountain town. Next on the agenda, journey to Grandfather Mountain and a harrowing?but awe-inspiring--walk on the Swinging Bridge and a visit to the natural animal habitat. If there's time still left in the day (if not, there's always tomorrow!) visit Thomas the Tank Engine at Tweetsie Railroad or go kayaking or tubing on the New River or bicycling on the flat, scenic road that runs next to it. 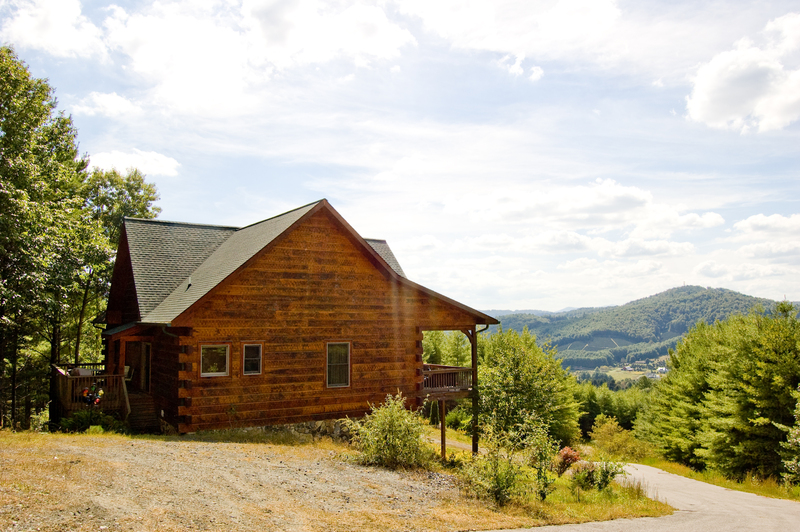 After a long day of adventure and exploring, return home to Long Ridge Cabin and relax on the covered porch as you take in the views of the Blue Ridge Mountains! "Everything was perfect! House, office staff will definitely be going back. " "This log cabin is beautiful! The location is great and the place was deccently clean when we got there. The only thing is the hot tub water was a little dirty and I wish they had a cleaner available." 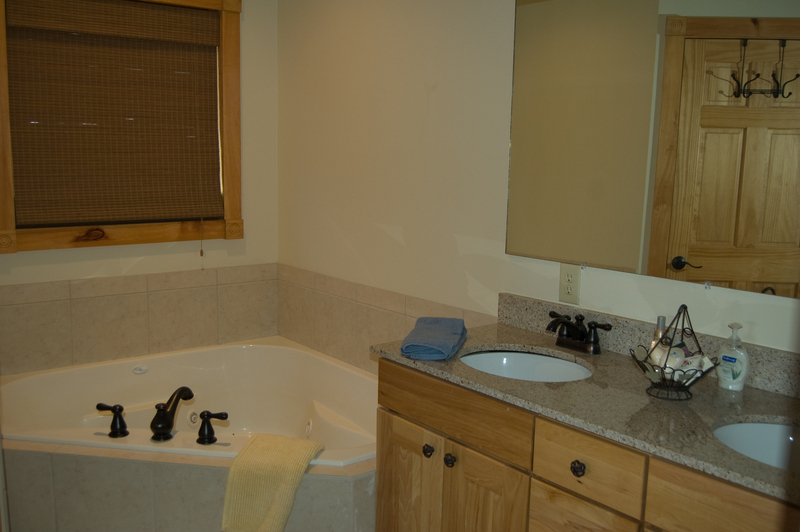 "The cabin was very nice and clean. Everything was as the online description indicated. I would recommend this cabin for a good mountain experience." "The house was very nice and clean. The management company was very accounting when I called to ask questions or speak with them. The master bed was comfy but the other two were so so. The hot tub was great! The door was difficult to lock and the handle needs to be replaced. It’s very fragile. 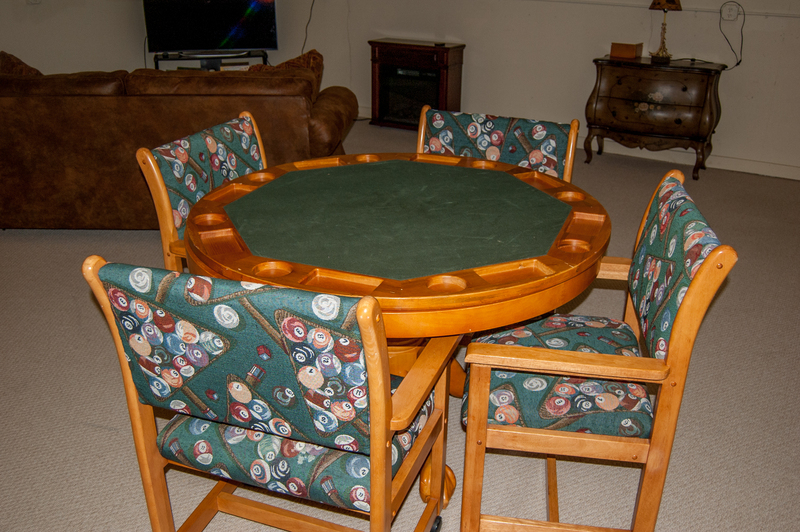 We enjoyed the card table downstairs to play spades. 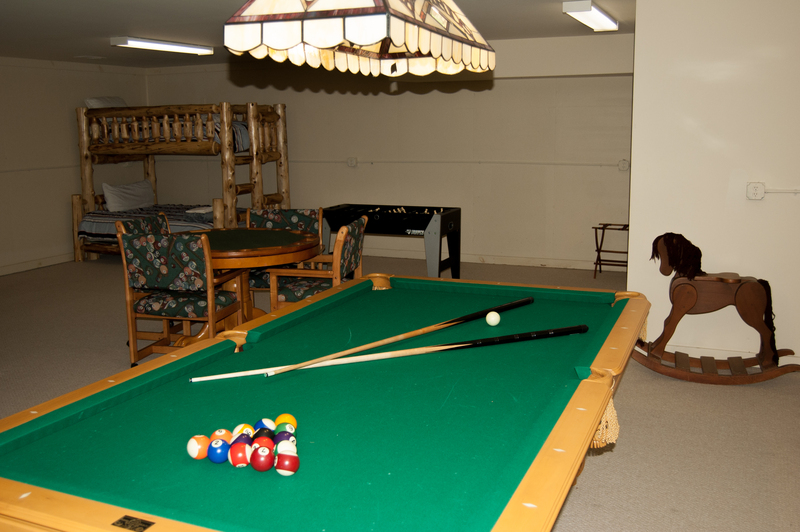 The pool table was not really able to be used as the pool sticks didn’t have tips. The WiFi was not accessible as the password written in the manuals were not correct. Another turn off was the trash situation. You are asked to take all of your trash with you. Now the company accommodated us without question as we left on a Sunday and the place was closed but I have never been asked to take my trash to the dump or in my car when we check out on vacation. There was another family with us and we were all very surprised with the cleaning fee charged that the cleaners can’t take the trash to the collection site/dump after your stay. Our cars were packed when leaving and who wants 3 day old trash in their car. I would suggest large families or multiple families to stay. It’s a very nice home. I just also suggest the homeowners to pay close attention to detail to accommodate the visitor. " "I booked this house for a girls' weekend with my college friends. We really enjoyed the view, especially thanks to the patio furniture and hot tub on the deck. The house was clean, the beds were comfortable and there was plenty of hot water and towels for us all. A few things to bring if you're booking this house: your own trash bags - we were only given 2 and it's a small trash can, a frying pan if you want to cook bacon or anything larger, and maybe a cookie sheet for the oven. We did bring toilet paper and paper towels based on the reviews I previously read, but there was enough provided for our 2 night stay. Another point, and maybe it was just us, but the entrance door is a sliding door with a slightly difficult lock (to the point they include instructions in their house notes about how to lock and unlock the door). Also, the door in the downstairs garage doesn't look, so anyone could come in through that door and access the rest of the house. I will sum up by saying that we really did enjoy the house, but I feel like the other things I mentioned (while sounding slightly negative) are simply things I would want to be aware of when choosing a place to stay/packing for my visit." "Fabulous family getaway. We visited with my parents and two kids (age 3 and 6). Everyone had a great time. The location of this cabin ins perfect, only about 15 minutes into Boone. Very clean! We did have some difficulty getting the downstairs TV to stay on (would come and cut itself off after a couple of minutes) and some blackout curtains would be nice in the bedrooms. " "Wish we could have stayed longer!! We all enjoyed our stand are ready to go back as soon as we can!! The only downside was not enough TP or PT!" We are thrilled to hear you enjoyed your stay and look forward to your return visit. All vacation rental homes managed by offer a starter supply of paper products so be sure on your next visit to either bring some extra from home or pick some up at one of the local stores. "This CABIN was the BOMB!! We had 3 couples and 2 extra people stay here for a graduation. Plenty of room to be together and plenty of room to have quiet time. Beautiful view. We loved the gas grill on the back porch. The only dislike about this cabin was there was not a bathroom down stairs, which sleeps 5 people. Other than that, we had plenty of towels and linens. The hot tub was AWESOME too. We will definitely be staying again soon. I have shared it on Facebook to many friends and they LOVED it and talked about renting it too. " "Loved it. Clean and lots of room. Would book this place again for sure. " "We have stayed here twice and are about to make a third trip. Perfect location and very clean. This company is very easy to work with and communicate with. My only complaint would be that the two queen bedrooms are very bright in the morning. Some blackout curtains would help tremendously. " "Enjoyed our stay! Cabin was nice and clean. Exceeded expectations. " "Family get away -enjoyed our stay - great hot tub!" 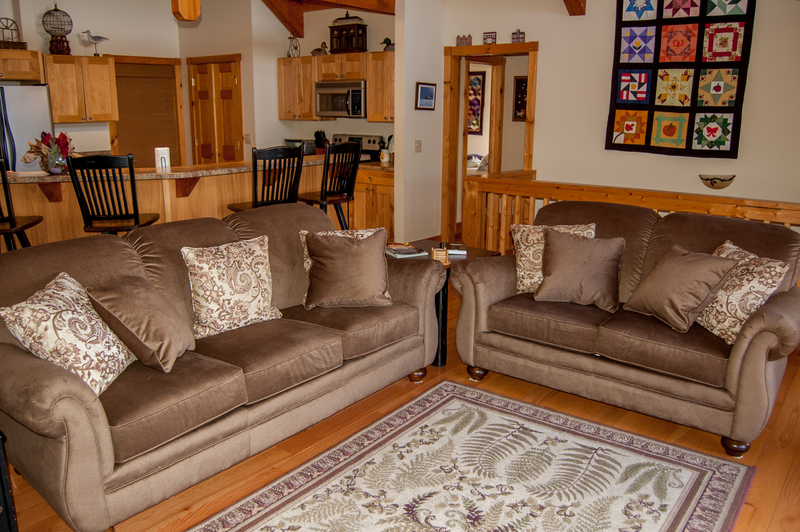 "My husband and I rented the cabin to enjoy our 2 children, spouses and 2 grandsons. The views were great, we spent a lot of time sitting and watching the sunsets, sunrises, clouds and fog. The cabin had everything we needed, was very comfortable and, even with 8 people, not crowded. I would have 2 negative comments...the mattresses are not great, and the remotes need new batteries. But, everything else was Great!" "House was beautiful and spacious, much better in person than the pictures. Doors were a little tricky to lock, but not a huge problem. About a 20 minute ride to Boone, depending on traffic. " 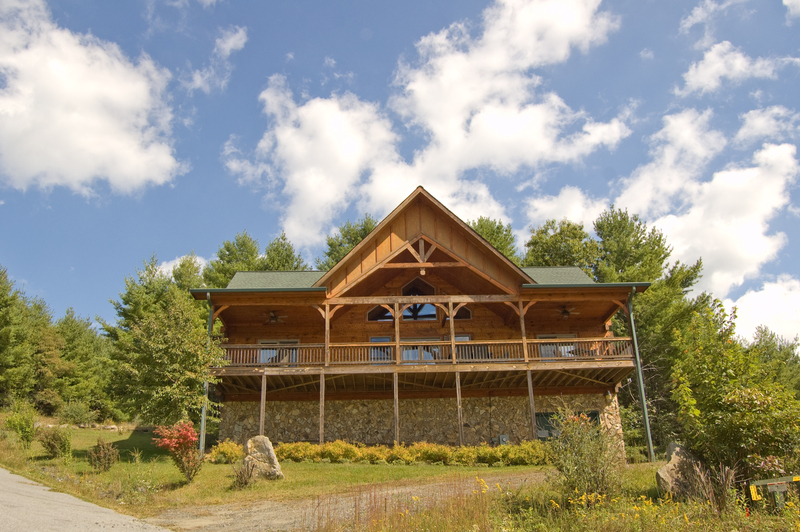 "This house was absolutely amazing for our couples weekend getaway! The only suggestion to the renters I have is to put up some curtains in the master bedroom, otherwise you're going to be up with rising of the sun. Other than that everything was great!" "The family really enjoyed the cabin weekend getaway. The views were great. The location of the cabin, between West Jefferson & Boone, was very convenient. Once the space heater heated up the game room it was nice. A dart board would be a nice addition to the game room. The cleanliness of the outside gas grill was a little questionable." 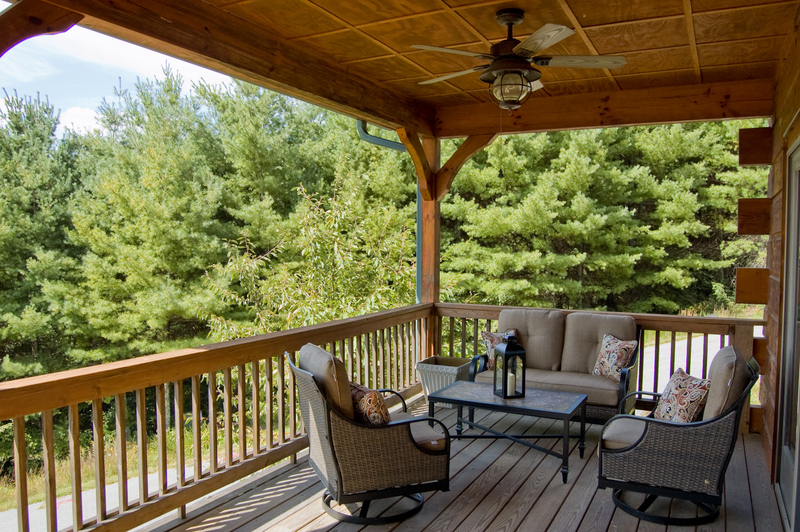 "Loved the covered deck with beautiful view. 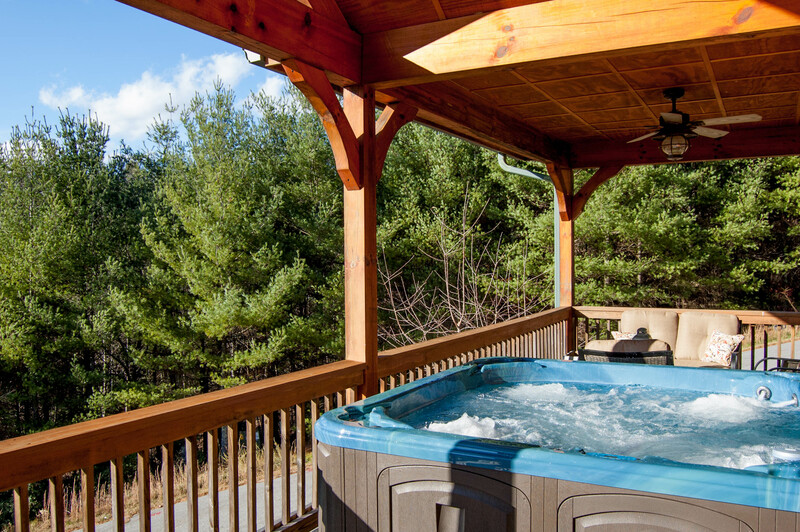 The hot tub is really nice and the cabin is clean. The only complaints (which wouldn't keep me from going back) are the need for additional seating in the den (a love seat or another recliner), a few more towels, and maybe updated mattresses. There are not blinds or curtains on the door in the master bedroom and this may bother some but didn't bother us. Currently it is very private there but looks there are lots for sale nearby. We definitely will be back!!" "Cabin is very clean and spacious. We had a party of 10 and had a great time. We got around 8 inches of snow while we were there for the weekend so the road was great for sledding. Only downside is the game room because it was super cold down there even with the heater going all weekend. Also, the heat seemed to have a hard time keeping up with the temperature it was set at. Overall, I would definitely stay again." 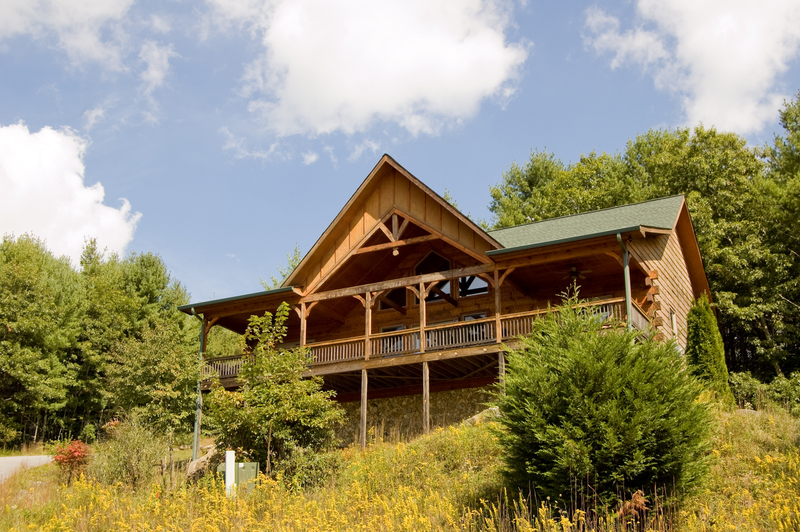 "Rented this cabin for our family to be together for our daughters graduation from App State. We had a wonderful time and the cabin fit all our needs perfectly. Our family enjoyed the hot tub and game room. Our only issue was how cold the lower level stayed. It was too cold to have anyone sleep down there. If you rent in the summer time it wouldn't be a problem but not so in the winter months." "We had a great stay at this cabin. Overall it was the perfect size and layout for a group of 10. I love the open floor plan in the kitchen/ living area and the deck is awesome! The hot tub is huge and kept us warm even through a couple of nights in the low teens! There are a couple thing that would have made it perfect though. The sliding doors in the master bedroom that lead to the deck, had no curtains, or any kind. So, if someone was in the hot tub they could see right into your bedroom. Also, the downstairs is cold! There is a heater that helps slightly, but in those cold temperatures, my friends that had to sleep there, were pretty cold. 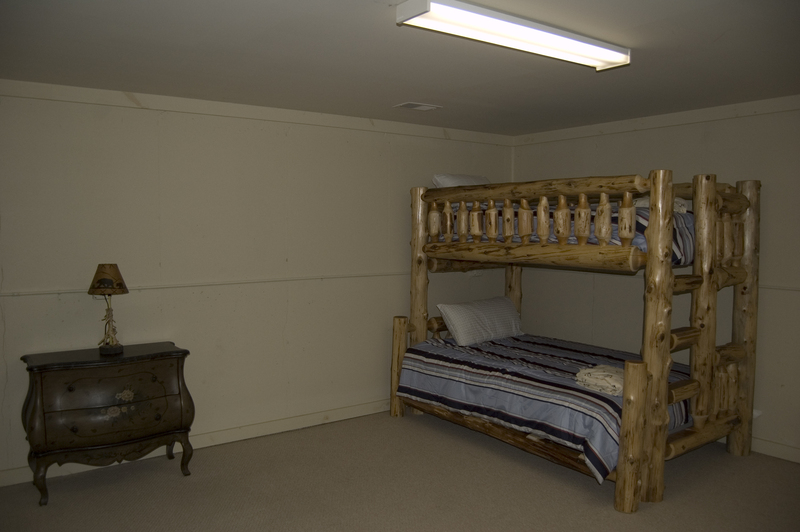 If the downstairs was finished and part of he central system, and sleeping quarters privacy taken into consideration, it would be a close to perfect cabin! All in all, would return." "About 10-12 of us in our 20s went down and stayed here for a app state football game. Cabin was great and clean. Would stay here again"
Thank you for your response. We love our App State!!! Thank you for staying with us and we hope to see everyone back next football season! "Had a wonderful weekend with family. Enjoyed the views and the beautiful weather. This cabin is very easy to get to and still have beautiful views. Located between West Jefferson and Boone. Thanks Judy for helping us to find this beautiful cabin. " Thank you for your response. We are happy that you had a wonderful family weekend. Thank you for staying with us and we hope to see you again soon! 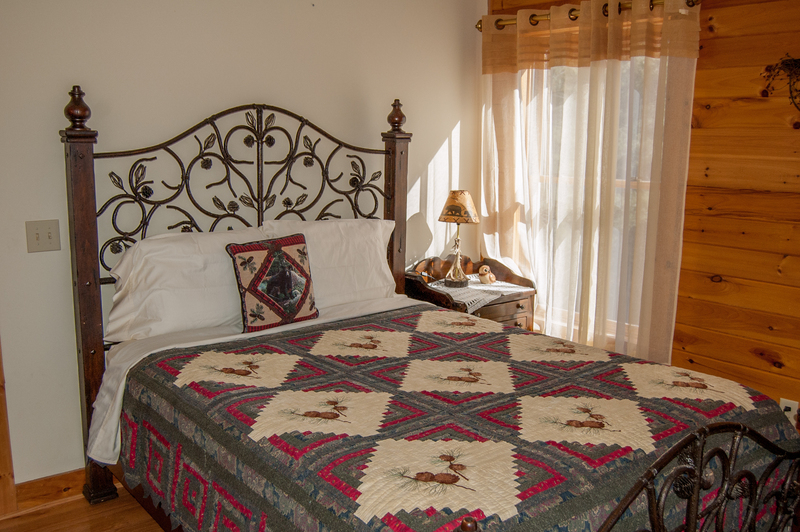 "Great stay for homecoming, we had 8 adults, 2 toddlers and 2 newborns. The wives weren't a fan of the lack of mirrors in the home to get ready as well as the lack of drapes over the windows (nice during the day, creepy at night **** in the am when the sun comes through) The check out to-do list was a little intense. 2 bags of trash between 8 people and kids for a weekend is hard to accomplish... A restroom downstairs would be nice. It sounds like I'm complaining, the fact is we had a nice time and this cabin is very nice. " Thank you for your response. We are glad that you and your party had a nice time. We are looking at your suggestions very closely and we appreciate your feedback. Thank you again for staying with us and we hope to see you soon! 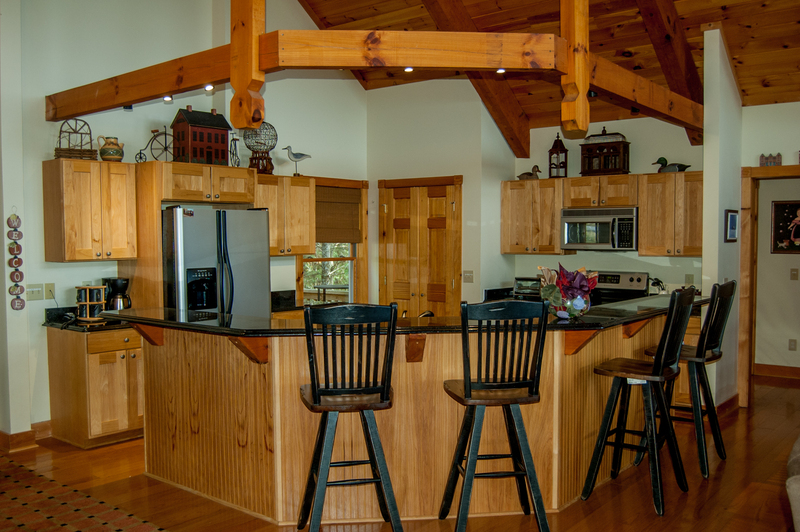 "Wonderful rental cabin with beautiful views in secluded private area. Will definitely stay again." Thank you for your response. We are happy that you enjoyed your vacation and we hope to see you soon! "Overall it was great. However, the AC never seemed to work"
Thank you for the feedback on the A/C. We've had a technician take a look and everything is working just fine now. "10 women from ages 21-65 stayed the weekend! We had a blast! They all talked about how much they loved the location. We were close enough to go into West Jefferson for the day and hit the local shops! It's very hard to get 10 people together to do anything without some opposition, this trip was the acception. No complaints from anyone! Only fun, laughter and love! Thank you!! " Thank you for the wonderful review. We love to hear everyone really enjoyed their stay and hope you can stay again soon. "It was a beautiful place! Some of the trees need to be cut to improve the view...and the only complaint we had was there were no TVs in the bedrooms. Other than that it was lovely...loved the covered porch!" "We absolutely loved the property. The house is beautiful and spacious. " "We recently visited over the week of 4th of July with myself with boys age 11 and girls age 14. We had another family stay with us that included grandmother and couple and son from military. The Longe Ridge Cabin actually exceeded our expectations! Sometimes the pictures are not as nice or facilities not quite up to date...but everything was perfect. Amenities were great and the cabin had everything we needed. 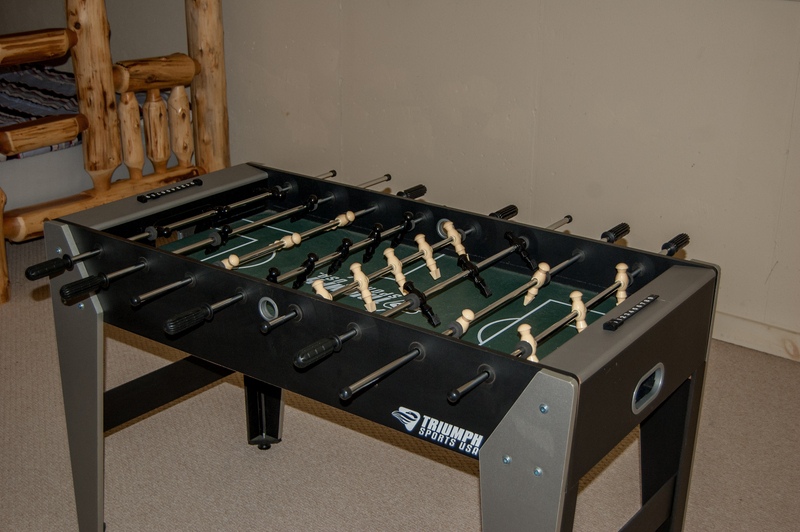 Kids LOVED the game room and all the boys claimed that for their "haven". The hot tub was perfect after long days of hiking and driving. 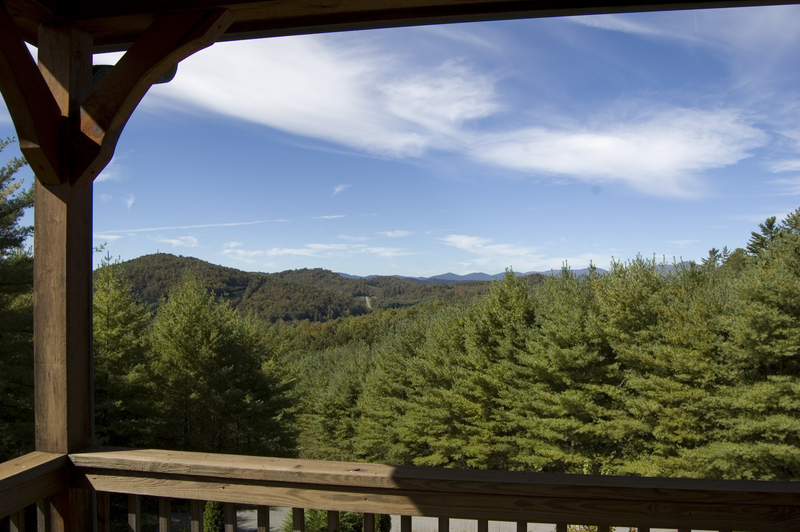 The views were 's location was great and close to all kinds of activities and beautiful Boone, NC. 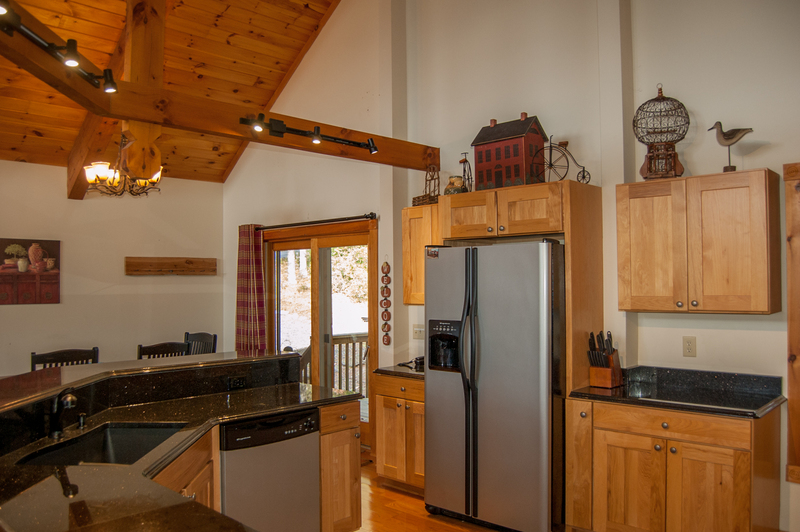 We look forward to returning again with more family and will definitely stay at the Long Ridge Cabin! Thank you for a great summer family vacation :)"
" We had a lovely week talking of old times and exploring the local area. There was lots to see and do. We loved the hot tub and pool table. The cabin was spacious, well equipped and well set out and we all felt very relaxed and comfortable. It would have been useful to have a rest room downstairs, but apart from that the place was perfect. " "House was very beautiful and the views were awesome. We wish we could have stayed longer and will definitely return." "3 couples. The size was perfect. Hot tub was awesome and the view was great. Clean and relaxing. Comfortable beds!" "The house met all of our expectations. We had 2 families of 4 and there was plenty of room. We had a great time playing ping pong, relaxing in the hot tub and the house is only about 30 minutes to the slopes. Great house! " 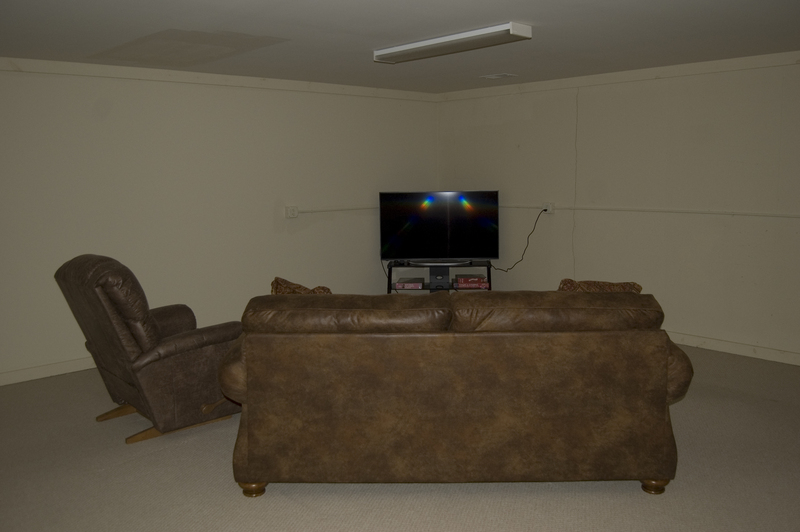 "The layout is perfect for everyone to be together yet plenty of space to spread out. 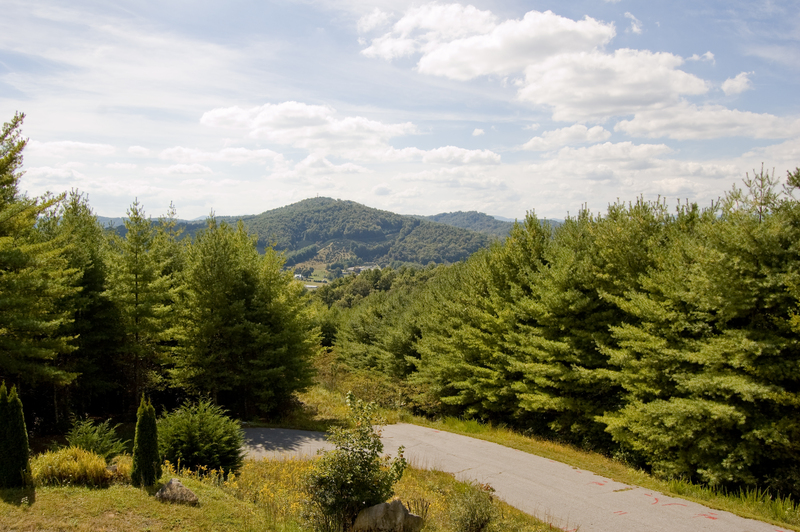 Not too far from town, quiet location, and stunning mountain sunset views." "Everything was great. The kids enjoyed the basement and the games that were there. The only thing that kept my overall review from being a 5 was that the basement stayed cool. Overall, we had a great time. " "We loved the cabin. Very comfortable. Only suggestion is curtains in the rooms to be able to sleep. Would stay there again if that is done." "We arrived and found the home in spotless condition. It was well stocked with nice linens and a well equipped kitchen that had every convenience of our own home kitchen. The view from the balacony was beautiful and we enjoyed many lovely afternoon sunsets. 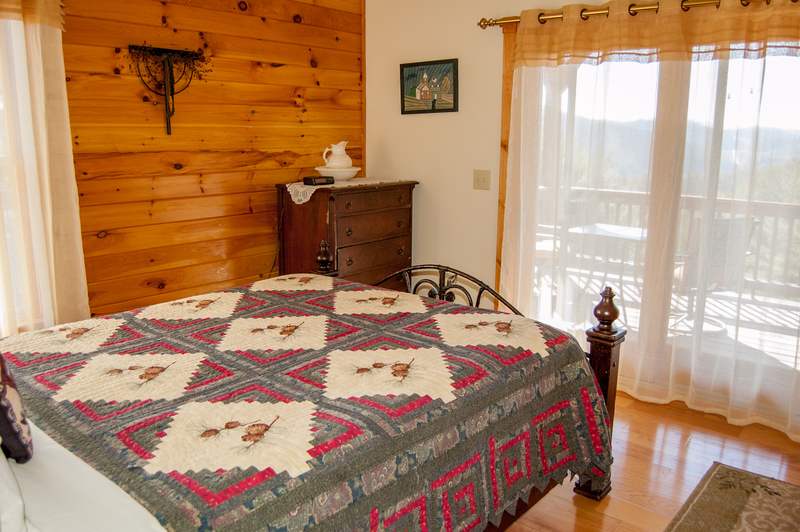 It is conveniently located near the Blue Ridge Parkway as well as Boone, West Jefferson and Wilkesboro allowing us to take advantage of the many wonderful back roads and scenery within close proximity to the house. Access to the house was easy and not too steep (as many mountain homes are). It was private but not too secluded. There is a nice Dollar General store about 5 minutes away to get supplies. That was very convenient. We had a very enjoyable week and felt right at home in this lovely house. We'll definitely be back and thank the owners for opening their house for guests!"